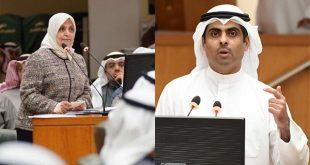 KUWAIT CITY, March 5: MPs Riyadh Al-Adsani and Adel Al-Damkhi on Monday submitted an interpellation request against State Minister for National Assembly Affairs Adel Al-Kharafito Speaker Marzouq Al-Ghanim. 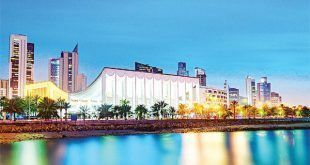 Al-Ghanim confirmed receiving the interpellation request, adding it has been included in the agenda for the March 20 session unless the Assembly votes on another date. Meanwhile, Al-Damkhi disclosed the interpellation will focus on the appointment of the minister, his role and plans. 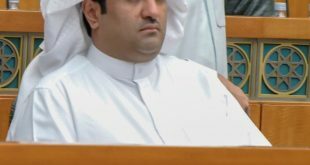 He said, “We respect all ministers,” adding sarcastically that “Al-Kharafi should not face this interpellation so he does not lose credibility.” Al-Adsani, on the other hand, stressed that they respect all ministers and judge their performance. 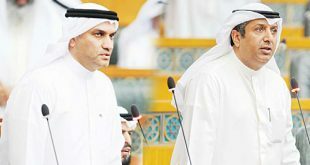 He also urged HH the Prime Minister Sheikh Jaber Al- Mubarak Al-Hamad Al-Sabah to either stand on the platform or resign. He pointed out this is a purely political interpellation as the appointment of this minister is suspicious, considering he announced during the elections that he is not interested in any ministerial post. He asked if the people of Kuwait deserve to have a minister like Al-Kharafi since he failed to play his role and strengthen the relationship between the two authorities. He also accused the minister of dodging a parliamentary question, interfering in the authorities of other officials, and not cooperating in addressing the unaccounted expenditures issue. 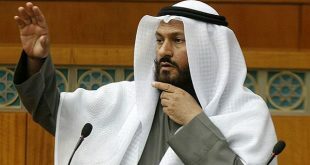 He warned the prime minister that there will be a crisis between the two authorities if Al-Kharafi remains in his post, up to the point of grilling the premier. In another development, the Budgets and Final Accounts Committee continued its discussion on the proposed State budget Monday. Committee Chairman MP Adnan AbdulSamad hinted on the possibility of rejecting the proposed budget if the government does not address the unaccounted expenditures issue. He lamented the State budget no longer reflects the reality because of repeated anomalies in the past years. 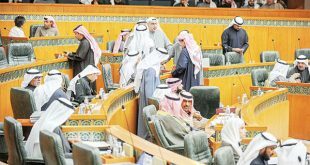 He added the Ministry of Finance informed the committee that there is a budget deficit of about KD 2.421 billion due to the unaccounted expenditures. 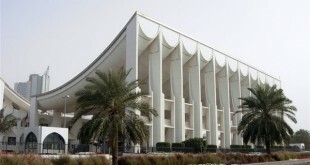 Parliament’s Legal Committee, during its meeting on Monday, March 5, agreed on the bill related to clash of interests, as well as the amendment of the Constitutional Court law, reports Al-Seyassah daily. With this, it will not be possible to appeal against electoral decrees within ten days instead of sixty days, and the court has to rule on relevant cases within ten days before the date of the elections. The committee affirmed that the decision was taken to ensure political stability, hoping that the National Assembly will approve the decision during the parliamentary session on Tuesday.